If your WordPress website is reporting that there's an error establishing a database connection, you can run through various steps to ensure that the database connection details are setup correctly, that the database exists, and even change the database password if you think that this is the problem. 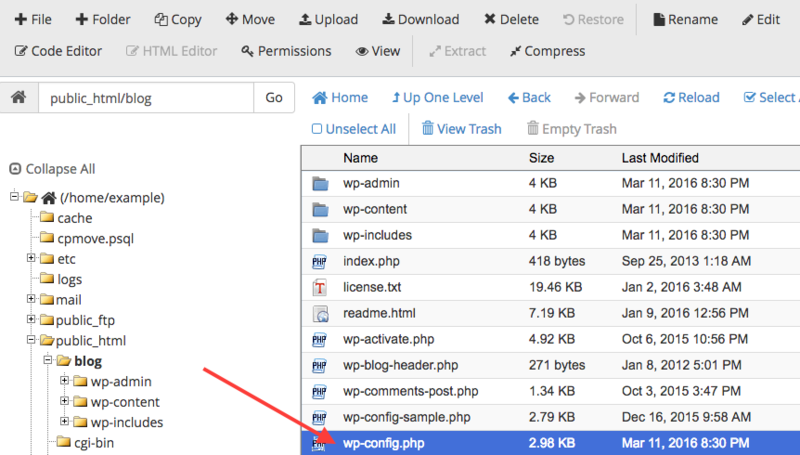 In your WordPress files on your server, there is a file named wp-config.php where you can review your WordPress database connection information. To access this, the first step is to log into your cPanel account. If you are unsure on how to do this, please view the following help article - 'How to log into cPanel'. 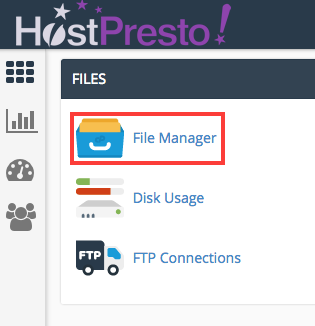 The file manager has access to all of the files on your server, including your WordPress files which is where we need to view the wp-config.php file. define('DB_NAME', 'example_wp156'); - the database name consists of our example account username 'example' followed by an underscore and the database name alais 'wp156'. define('DB_USER', 'example_wp156'); - the database user, again our example account username and underscore, followed by the database username alais 'wp156'. define('DB_PASSWORD', '9SyPd2((8R'); - the database password. define('DB_HOST', 'localhost'); - the database host, always localhost. Please note that your database connection details will differ from what has been shown here. 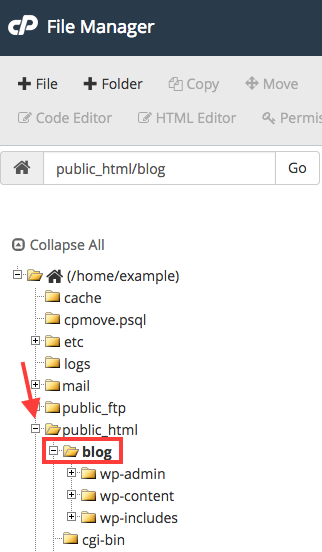 Now that we know what database WordPress is trying to connect to, lets check that the database exists. Whilst still logged into your cPanel account, scroll down to the 'Databases' section and choose 'MySQL Databases'. At the top under the 'Current Databases', you should find your database listed to verify the database as per the wp-config.php file is correct. By creating a new MySQL database, you will need to update the wp-config.php that was earlier viewed as per the new MySQL database and user that you create. If you can see your database and you believe that your wp-config.php file is correct, but you are not confident the password is correct, you can change this. 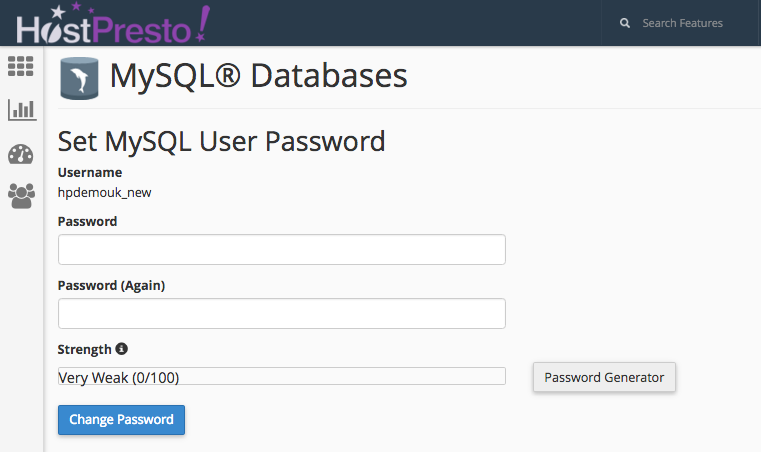 A database does not have a password, only the database user that has access does which we can reset. Whilst still in 'MySQL Databases', scroll further down to the 'Current Users' section. Select the 'Change Password' option on the database user as noted from earlier. 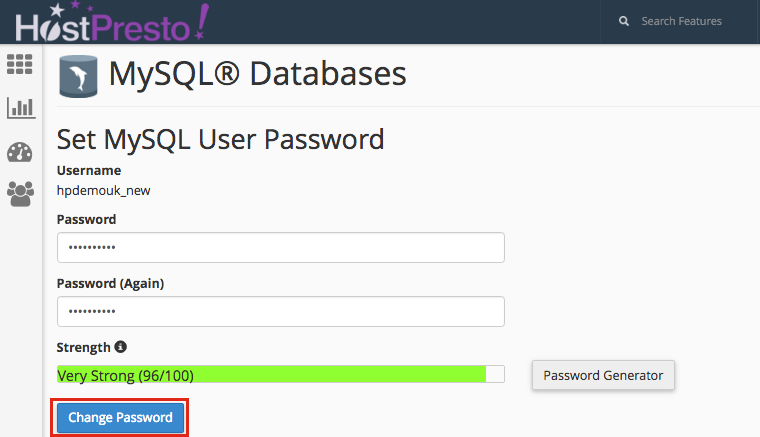 Type in your new password for the database user in the 'Password' box and repeat again in the 'Password (Again)' box. Note that there's a 'Password Generator' option if you would like the system to generate you a strong new password. Once your new password has been entered, complete the process by choosing the 'Change Password' option. 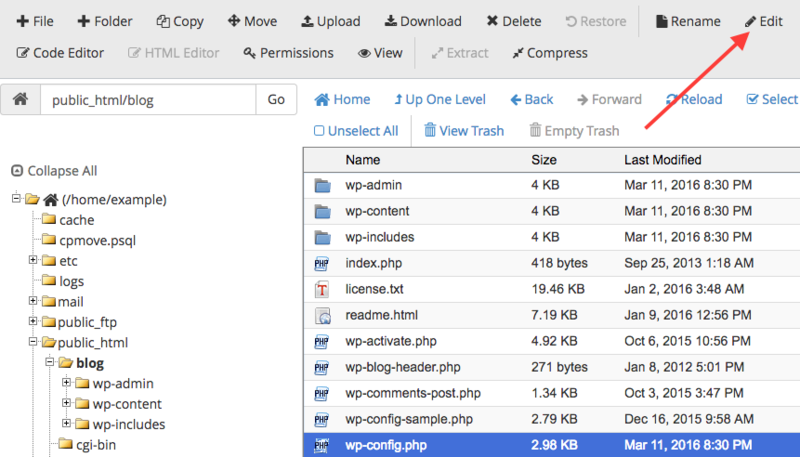 Now go back to the earlier wp-config.php file viewed in the 'File Manager' and update the database config with the new password that you've set. Remember to save the changes to the file before closing the window. 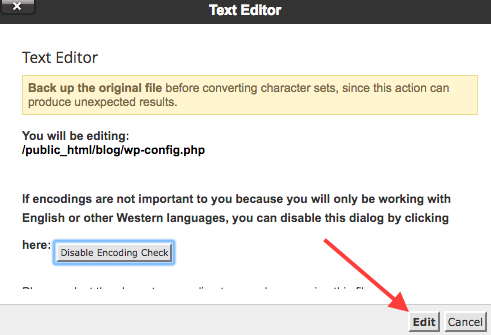 This article helps explain the database information that WordPress has been configured to and how to troubleshoot what might be the problem if your website is experiencing an error establishing a database connection. What Are My Database Credentials?